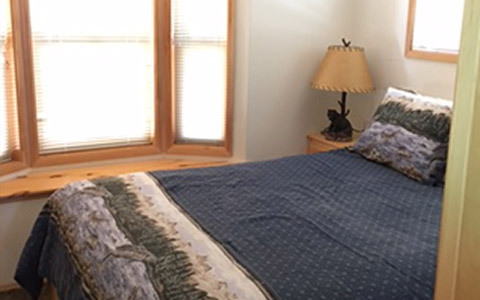 Sleeps 4 - $149/night. Queen bed in master bedroom, one double/full in loft. Now has a hot tub. Pet friendly. Base rates are based on (2) person occupancy. Add $10.00 per each extra person (max 4) or pet, non-smoking cabin. 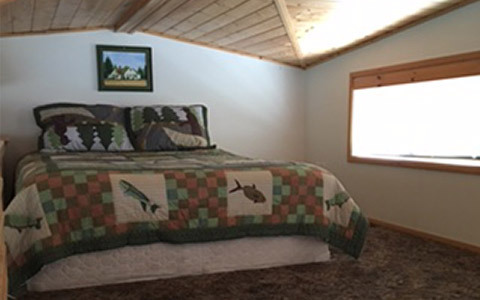 A popular lakeview cabin that guests enjoy all year, newly equipped with a very private, covered outdoor hot tub. 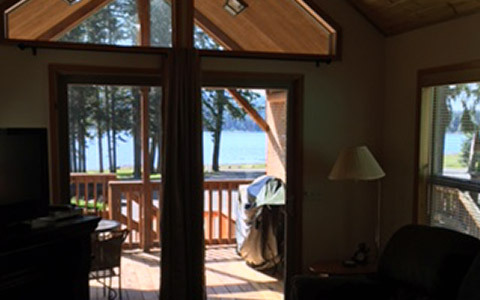 The rustically appointed cabin overlooks Hyatt Lake. On a clear day, one can see Mount Shasta. The cabin is nestled under very tall pines. It is a two story model with a queen in the master bedroom and a double/full in a very large loft. The ceilings are finished in wood and the living room contains ample seating for a family, with a large couch. 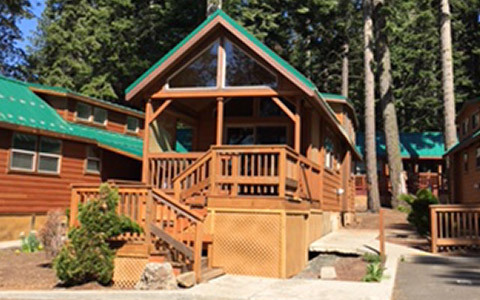 This unit has a barbecue that allows guests to barbecue while looking out over Hyatt Lake. 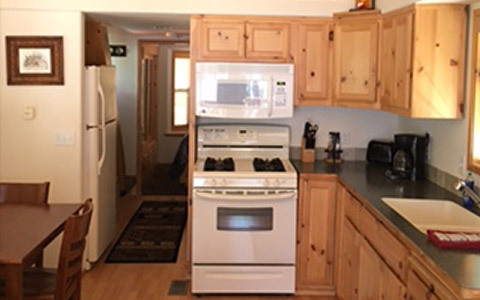 The kitchen contains a range, microwave and side-by-side refrigerator/freezer. The kitchen table is great for family dining inside. 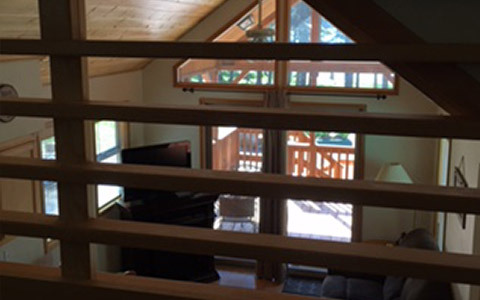 The cabin is bright because it is situated in such a way that it receives both morning and afternoon light. There is easy access to the restaurant from this cabin, if the desire to eat out or order pizza to go and stay in. This is a very comfortable cabin with all the amenities of home.